I’m looking forward to this weekend! I’m a guest at Fan Expo Vancouver again this year. Big movie star guests include Aquaman, Hellboy, Finn the Human, and more! 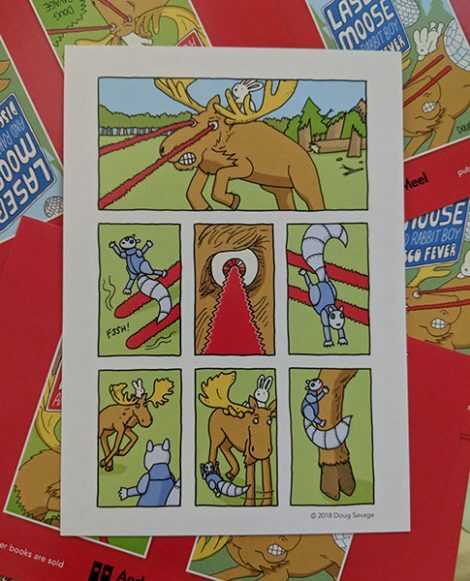 While supplies last, I’ll be giving away these free postcard-sized prints of Laser Moose and Rabbit Boy battling Mechasquirrel. Thanks to my publisher Andrews McMeel for printing these up for me! 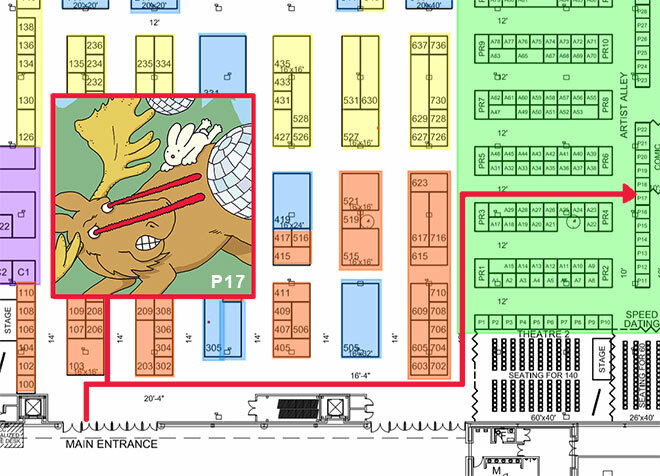 I’ll be at Table P-17 on Friday, Saturday, and Sunday. Stop by and say Hi and pick up a book and/or a free postcard print! Here’s where you can find me at Fan Expo this weekend. Table P-17!